Here�s a guy fishing tournaments with $5,000 entry fees. Counting boat and truck, he�s easily got a quarter-million dollars in gear invested into his profession. Throughout the course of the year, he�ll navigate the entire country, change housing daily, negotiate a dozen legal endorsement contracts and even beat the IRS at its own game. Yet, he�s afraid to read a depthfinder? My intention this week was to exploit such hesitant behavior for what I thought it was: a crutch and an excuse for poor performance. What can be said for those insisting on doing things their own way, who seem to get along just fine? Here, I�m talking about the anglers who continue to play with just a few clubs in the bag, yet cash check after check nationwide. In this case, I always immediately think of Andy Morgan. After several extensive interviews, I�ve come to realize that Morgan�s fishing philosophy seems to match that of his life: continued application of a proven method yields positive results. When further considering the success of a one-sided system, it�s impossible not to immediately think of Dean Rojas. Here�s a guy who's qualified for nearly every Classic since the turn of the century � winning a dump-truck full of cash in the process � and has done the bulk of the work with one lure. So what gives? Are the competitors labeled as one-trick ponies destined to fail half the time, or actually helping themselves in the long run? While we�ve investigated this a bit in the past, a new direction in thinking may help us better understand this unusual aspect of competition. Entertain a question: Have you ever been on a really good flipping bite? I mean the type where you put all the other rods away and nearly cover the floor of the boat with dead plastic. Now, think a minute if you will, how you�d react if I told you that � at the same time your flip bite is happening � other anglers are catching fish dropshotting down by the dam. Or skipping Senkos around docks. Why would you care? Also imagine if I told you that, while you�re hammering the fish on a watermelon D-Bomb, you might also be able to catch a few pitching a black worm. What I�m trying to illustrate is the feeling that top competitors know is possible when they locate their preferred bite on any given body of water. Those same competitors realize that bite most likely exists nearly every day � somewhere. The key is finding it. 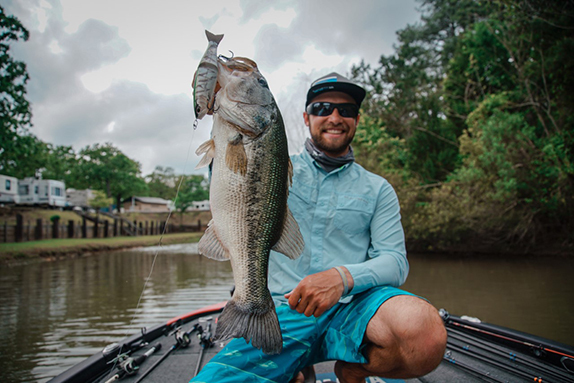 True, a supreme flipping bite doesn�t always exist, but a shallow power-fishing pattern most likely does. And by convincing themselves they�re on the right track, regardless of dock talk or previous history, select competitors can perform one of the most important duties in all of fishing: They can quiet distraction. Cold fronts, changing water levels, power generation schedules, shad spawns � distractions. Muddy water, spectator boats, fishing pressure, line size � distractions. You see, what I think happens to most of us is that we occasionally become content in select fishing scenarios. So comfortable, in fact, that we shut out all other distractions of the fishing process, confident that we have hit on the most productive pattern available at the time. The greatest tournament competitors, I suspect, are able to transform themselves into this mentality more so than the rest of us, leading, again, to supreme confidence and positive results. 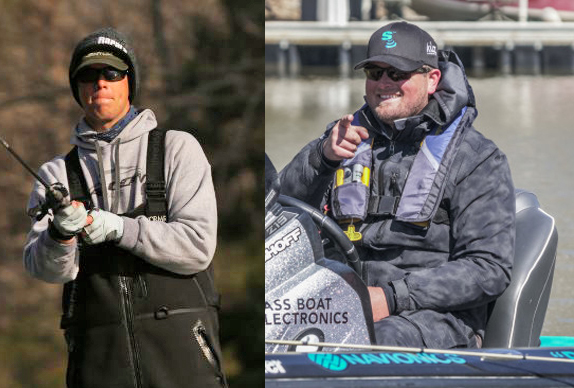 A select few are able to do so regardless of the rod they pick up; Kevin VanDam and Scott Martin quickly come to mind. Others, say Mark Rose or Jason Christie, seem to hold their own nearly everywhere, but really excel under certain conditions. And finally some, like the aforementioned Rojas or maybe even Cody Meyer, force their bite at nearly every stop, and seem to always come out ahead in the end. 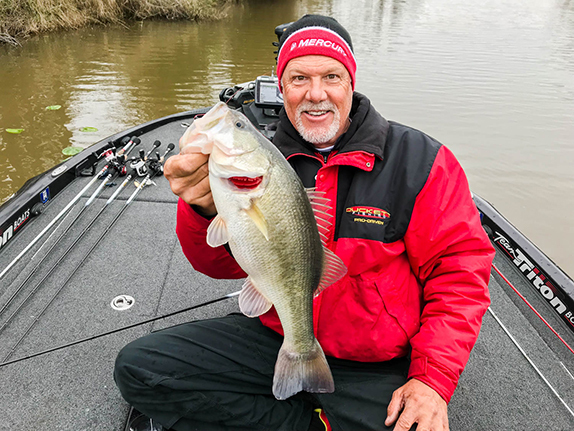 So maybe the trick isn�t avoiding becoming a one-sided angler, but learning to recognize it as a favorable trait regardless of fishing location, rather than one that leads to roller-coaster finishes. Maybe, in the case of our example, the key is to know that you�ll likely be the only guy throwing a frog, or flipping docks, when everyone else is offshore, and that�s a good thing, not something to be ashamed of. You see, typical of tournament fishing, it�s not the other guys� heads you have to beat against. Often, it�s your own.